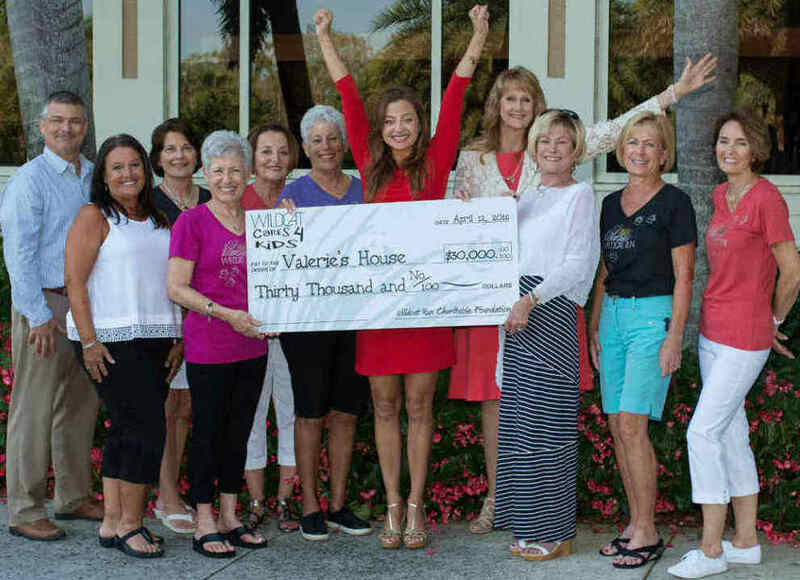 FORT MYERS, Fla. - April 26, 2016 - PRLog -- Valerie's House for Grieving Families, a not-for-profit organization helping children and families work through grief following the death of a loved one, was presented a check for $30,000 by the Wildcat Run Charitable Foundation. The foundation, also known as Wildcat Cares 4 Kids, annually selects a deserving nonprofit that serves children in need in Southwest Florida. This year's fifth annual fundraiser gala was held on February 20 at Wildcat Run Golf and Country Club in Estero. "We are overjoyed by the beautiful support of the residents of Wildcat Run and the Estero business community," said Valerie's House founder, Angela Melvin. "The mission and goals of our two organizations are so closely aligned, which makes this donation even sweeter. We appreciate everyone who contributed to help Valerie's House continue on and expand our community work." Valerie's House opened January 2016 and is currently serving 52 children and caregivers from Lee, Collier, Charlotte, and Hendry counties. The organization provides a safe, comfortable place for children to share, grieve and heal together following the death of a close family member. Valerie's House is located at 1618 Avalon Place in the historic Dean Park community of downtown Fort Myers, with plans to expand to Naples and Cape Coral. The Wildcat Run Charitable Foundation is a 501(c)3 non-for-profit organization helping children in need. It has raised in excess of $180,000 over the last four years to help encourage, support, and improve the lives of children in Southwest Florida by providing assistance to other charitable and educational organizations. For more information, visit www.wildcatruncharitablefoundation.org. Valerie's House is a 501(c)(3) not-for-profit organization that is fully supported through community donations that can be made online at www.valerieshouseswfl.org or by mail to Valerie's House, Inc., P.O. Box 1955, Fort Myers, FL 33902. For more information or to register for programs, visit www.valerieshouseswfl.org/contact-us/, call 239-478-6734, or write angela@valerieshouseswfl.org.